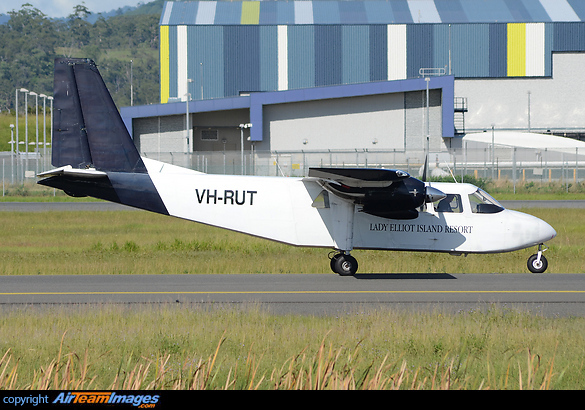 Britten-Norman BN-2 Islander is a light utility aircraft, mainline airliner and cargo aircraft. It is the best-selling commercial aircraft produced in Western Europe. The BN-2B Defender 4000 a stretched Islander military version used by the Army and Police forces in the United Kingdom and over 30 military and government operators around the world. 2 x Lycoming O-540 (235 - 380 hp) or Rolls Royce Model 250 (317 - 450 shp) piston engines. Standard engine is the 300HP Lycoming also a 260HP Lycoming version and a twin Rolls-Royce 250 B17C series Turboprop model is available.